I don’t know about you, but I kind of like stumbling over new words, or discovering the meaning behind old phrases. Like…wet your whistle. 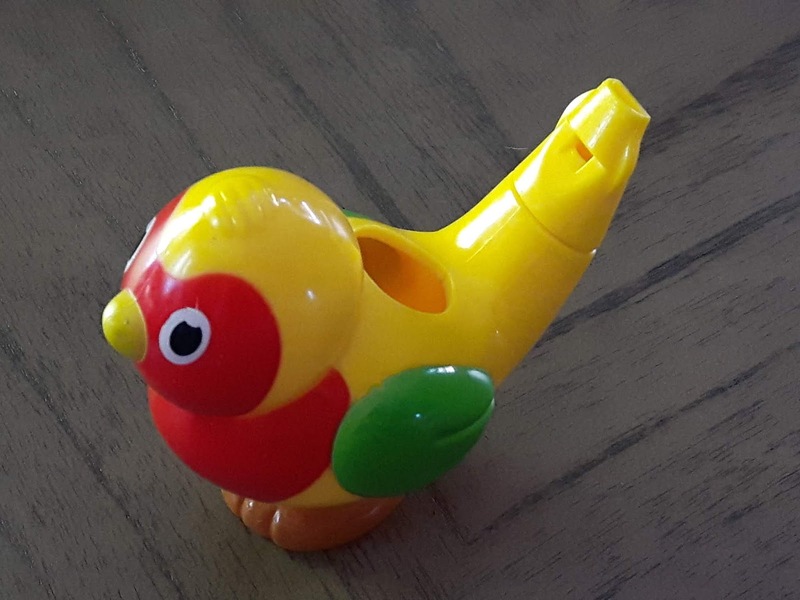 I always figured “wet your whistle” meant “have something to drink.” But last year I bought this plastic whistle in the shape of a bird from the dollar store and gave it to the grandbaby so she could annoy her parents. Her mother, of course, caused it to vanish almost immediately (it was really annoying). But a couple of weeks ago the daughter was looking for something in her front hall closet and found the whistle. Her husband told her it was to make bird sounds, and you were supposed to put water in it. So she put water in it and I think they all had a turn with it, and it went from being a major annoyance to something really cool. It really does sound like a bird whistling, and birds will respond it it! Is that neat, or what? It got me to thinking about the phrase, “wet your whistle” and I figured maybe that’s what it really meant. To wet your whistle was to put water in a whistle to make it sound like a bird. And being the curious sort of person I am, I ended up doing a little research. So, it turns out my first supposition (having something to drink) was closer to the truth. One version of its origin comes from the middle ages where it was believed that pubs would have whistles baked into their ceramic mugs so that patrons could signal a barmaid when they wanted a refill. However, there is no evidence to support this – no such mugs have survived as proof.